And the name of the winner is… Joseph Bellissimo!! 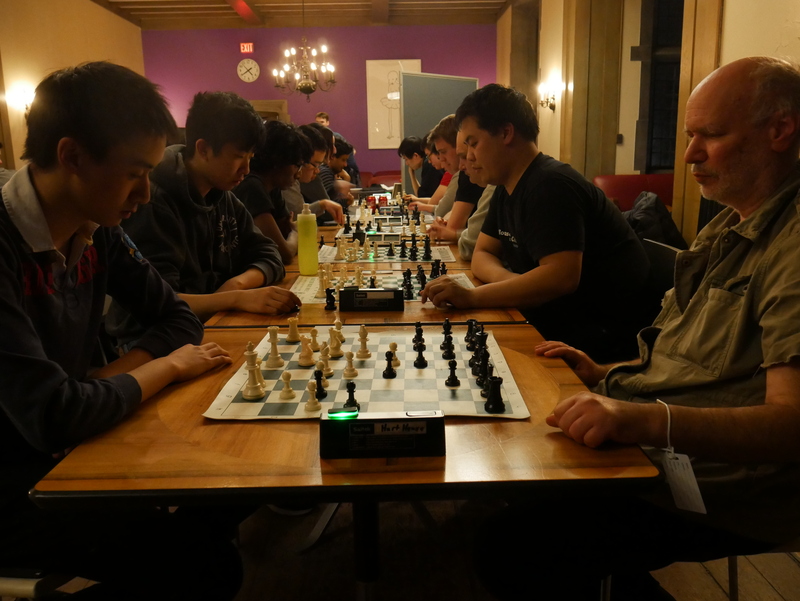 On Friday, March 9th, our chess club proudly hosted its 2018 Spring Hart House Blitz Tournament, a 5 double-round Swiss tourney, open to chess enthusiasts of all ages and skill levels (time control: 3′ +2”)! 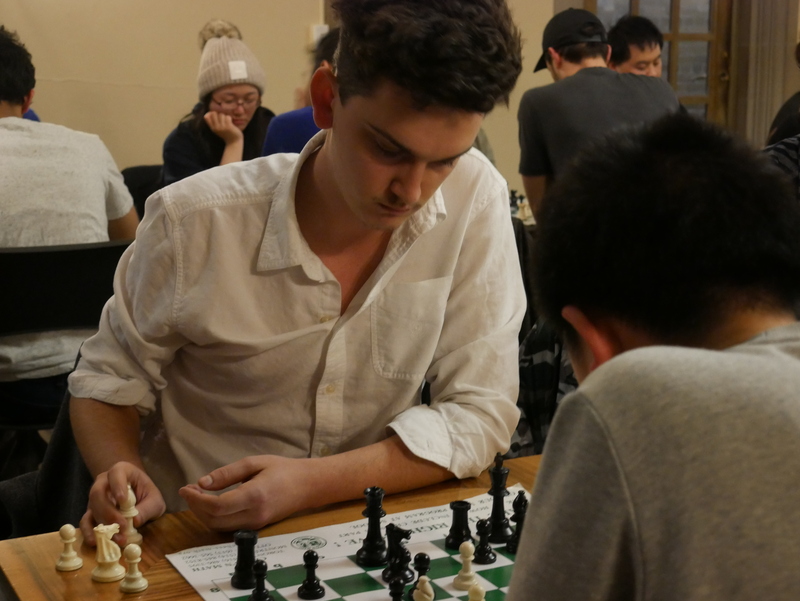 Despite the midterms, almost 30 players participated in the competition, with even more joining us, as viewers or kibitzers! 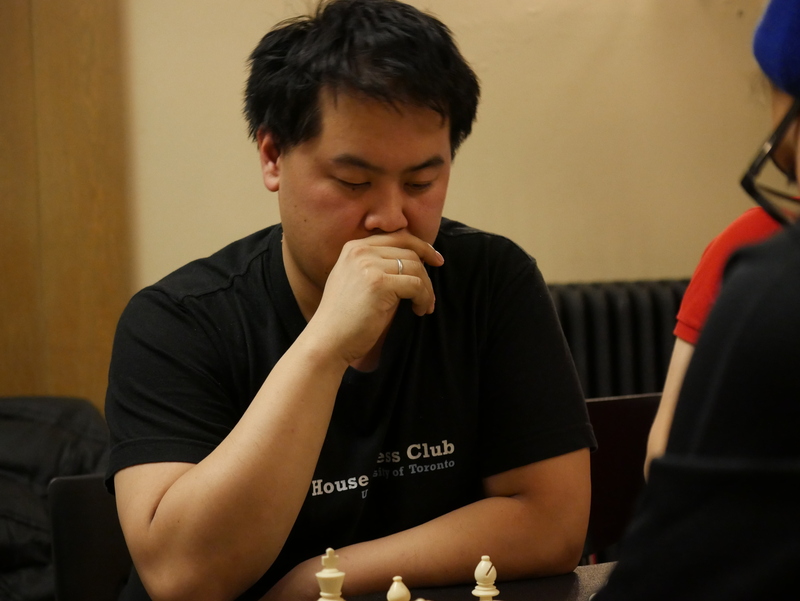 Leslie Tang arrived a bit late for the tournament but this did not stop him from proving why he’s regarded as the friendliest kibitzer of the club! 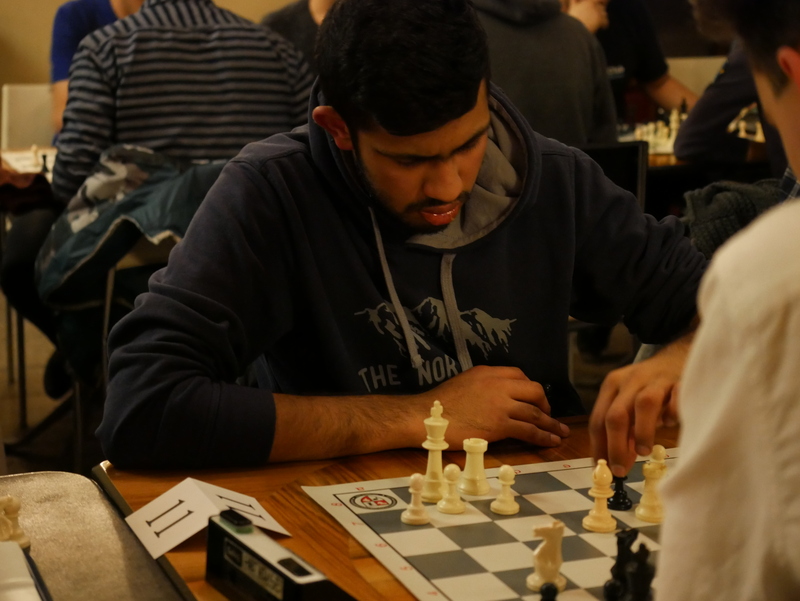 The competition at the top tables was friendly and joyful but also very suspenseful! 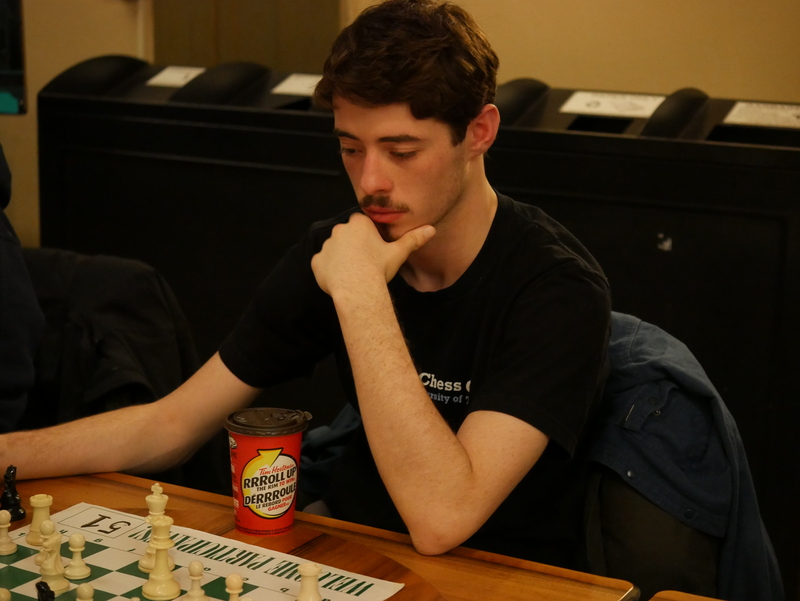 After Round 4, two players had an unbeatable streak of 4 match-victories, making them the solid candidates for the crown. 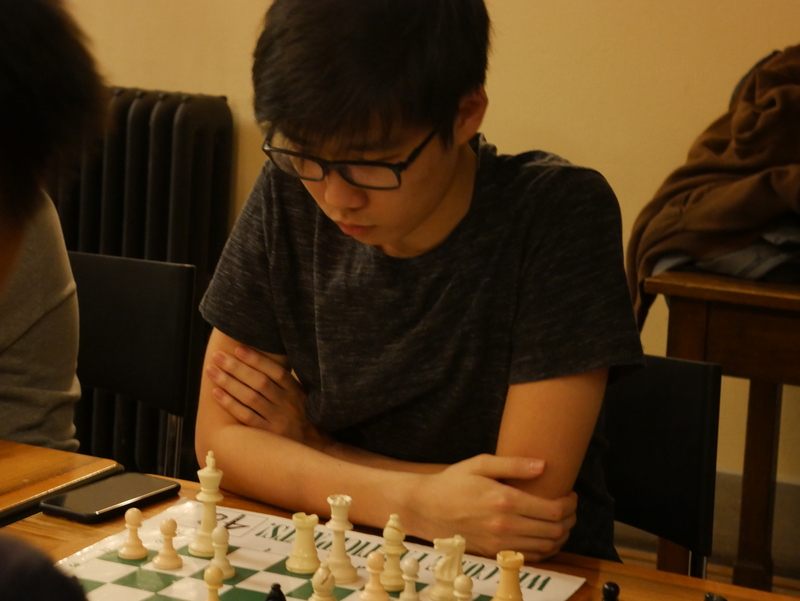 As we entered the last round, the stakes for 2nd seed, Joseph Bellissimo, and 3rd seed, Jim Zhao, were high. 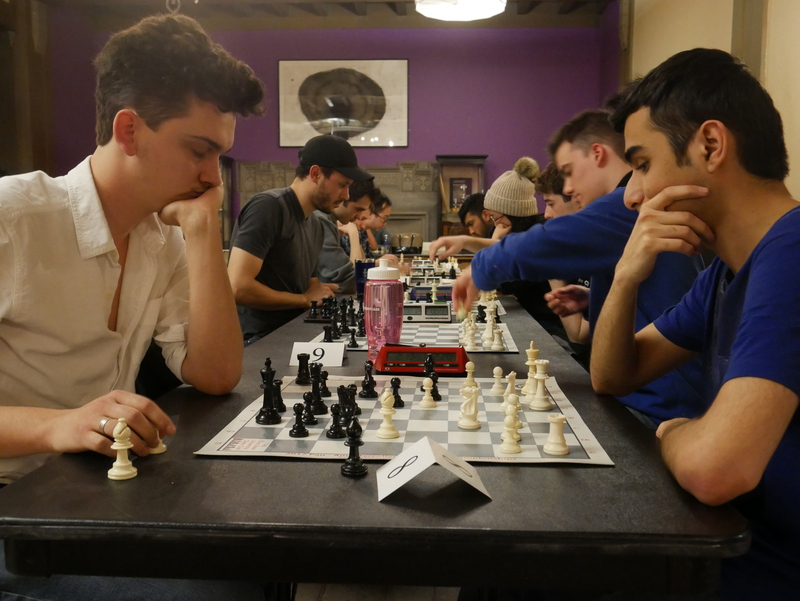 Simply stated, the winner in this match would become the Spring Hart House Blitz Champion! 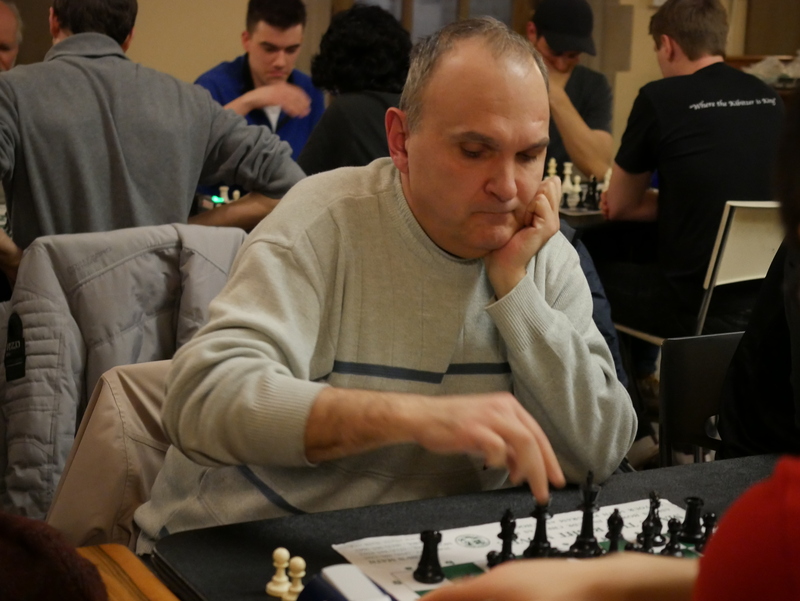 Joe Bellissimo had to overcome “Zeus’s” thunders before facing the “Great Jim”! 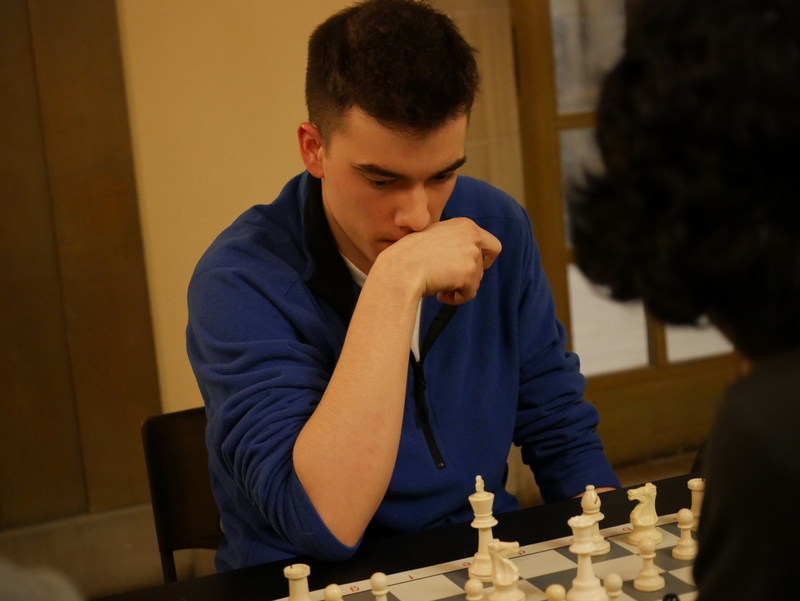 In the critical match, Jim (also known as “the Great Jim”) misplayed his first game and lost to Joe with black. 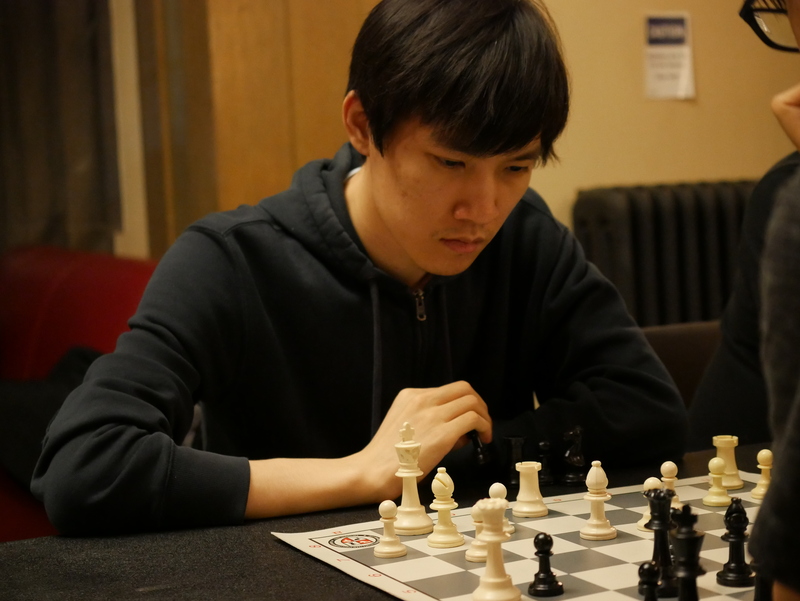 This defeat meant that he had to press a lot with white, in order to win the second game, tie the match and send it to the playoffs. 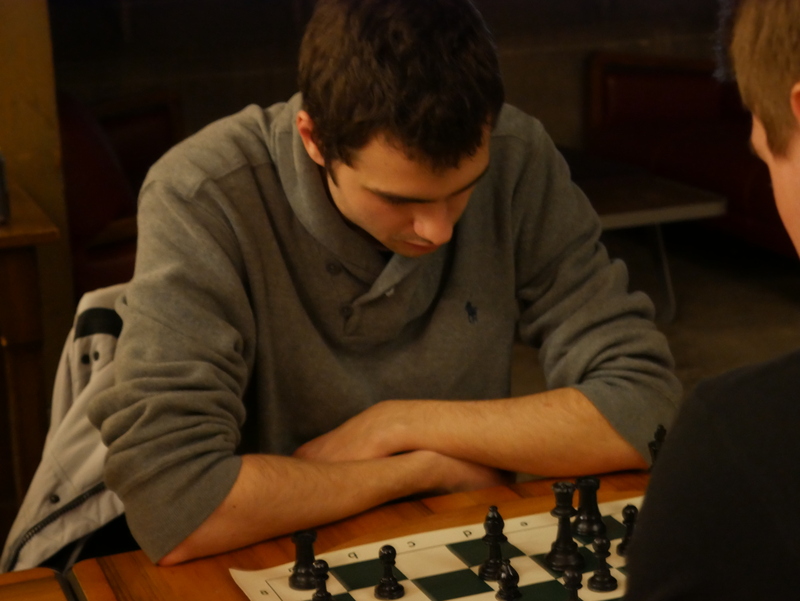 However, Joe defended successfully, leading the game into a dead-drawn, opposite-colored bishop endgame. Seeing that there were zero chances for a win, Jim agreed on a draw. 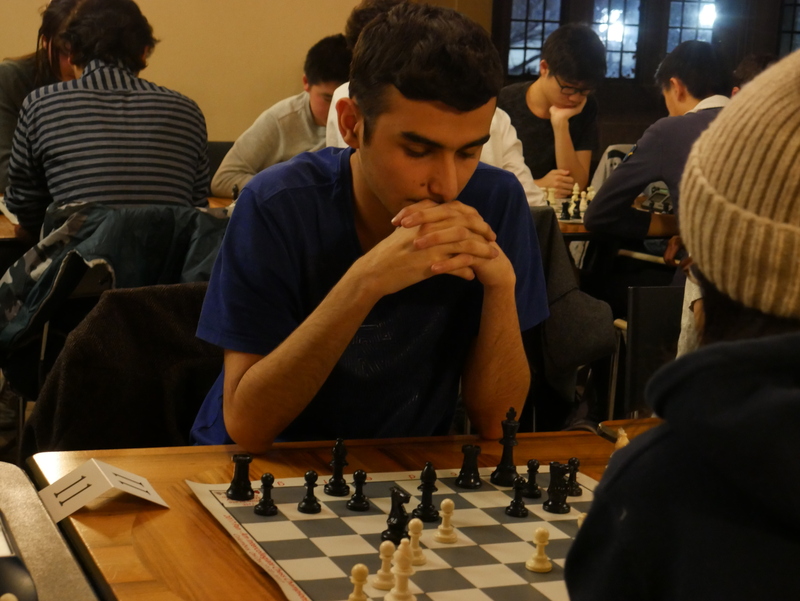 As a result, the incredible Joe, a super polite UofT freshman, won the tournament convincingly, with a perfect score of 10 out of 10! 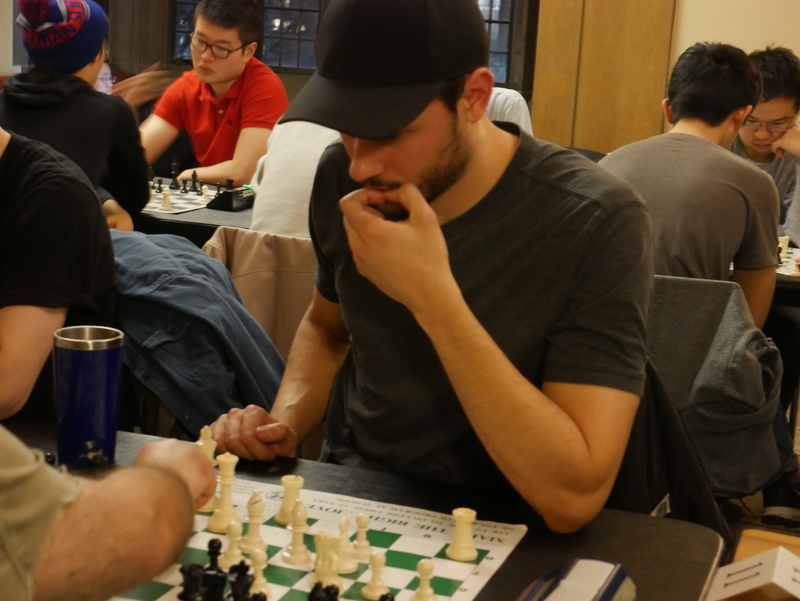 Joe Bellissimo was the proud winner of the 2018 Hart House Spring Blitz Tournament! 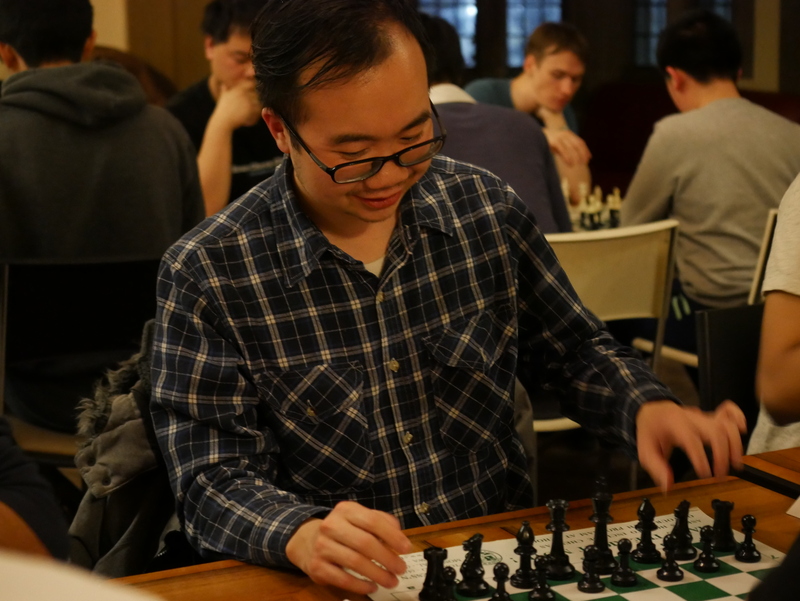 With 8 out of 10, Jim Zhao claimed second place, winning a $20 gift-card! 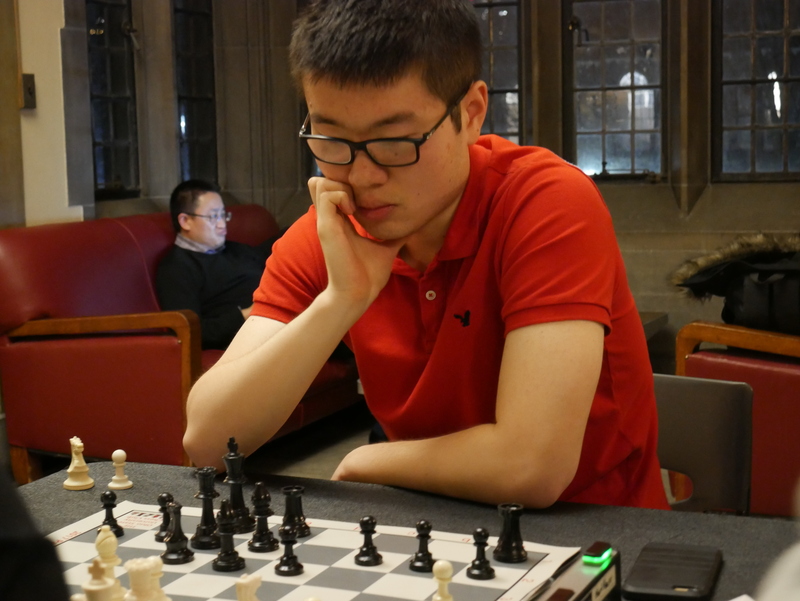 Silver-medal position for the strong National Master, Jim Zhao! 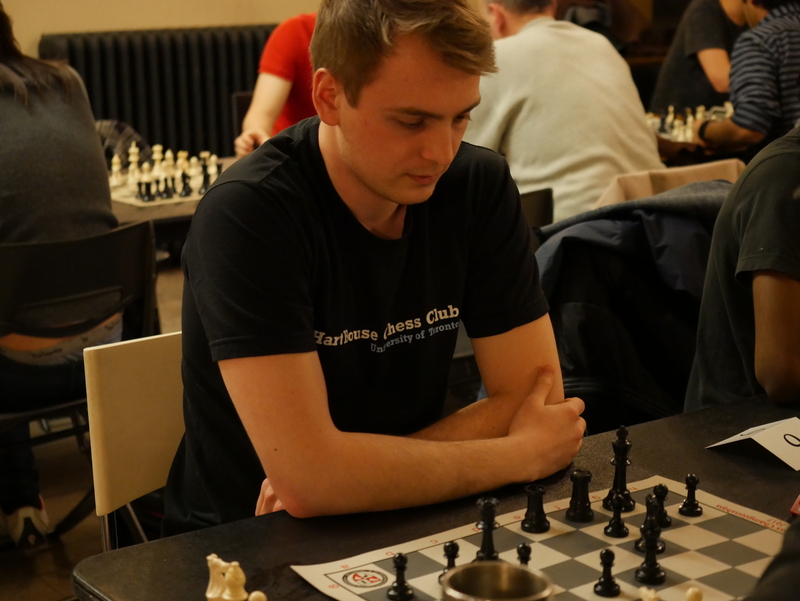 A pleasant surprise in the tournament was the performance of Mr. Vadim Khachaturov, who tied for second place, scoring 8 out of 10 and losing only to Jim! 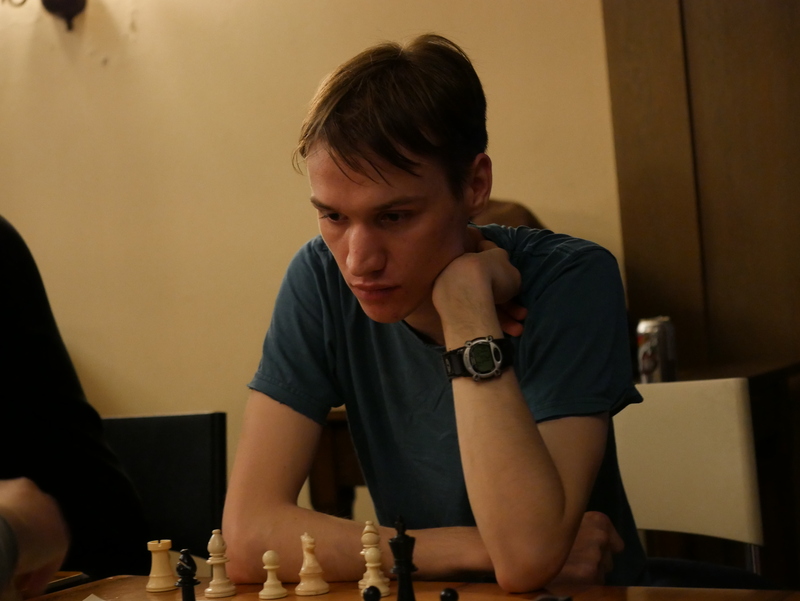 Mr. Vadim Khachaturov tied for 2nd place climbing up 3 ranks from his starting rank! 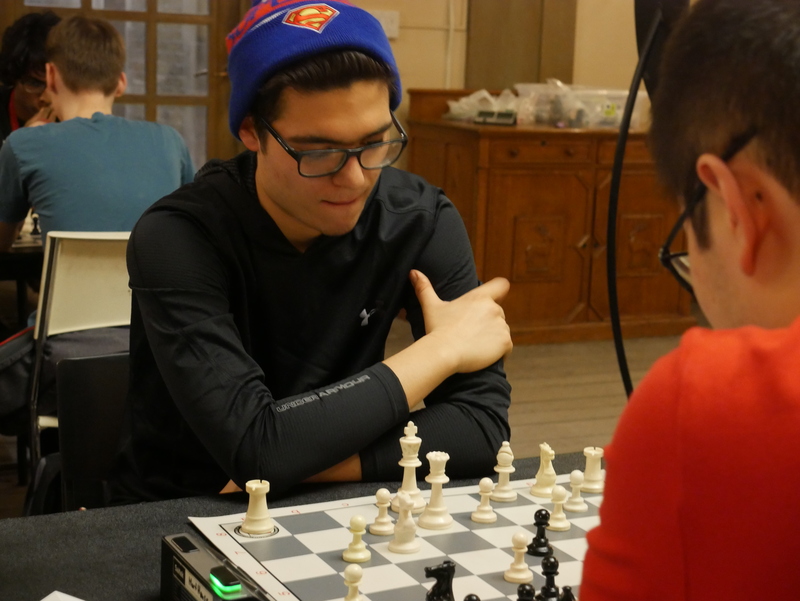 However, the third top-finisher award went to our own, super fast and resulted, Ethan Moon, who tied for 4th place, scoring a convincing 7 out of 10! A wide smile and a bronze medal for the restless Ethan Moon! 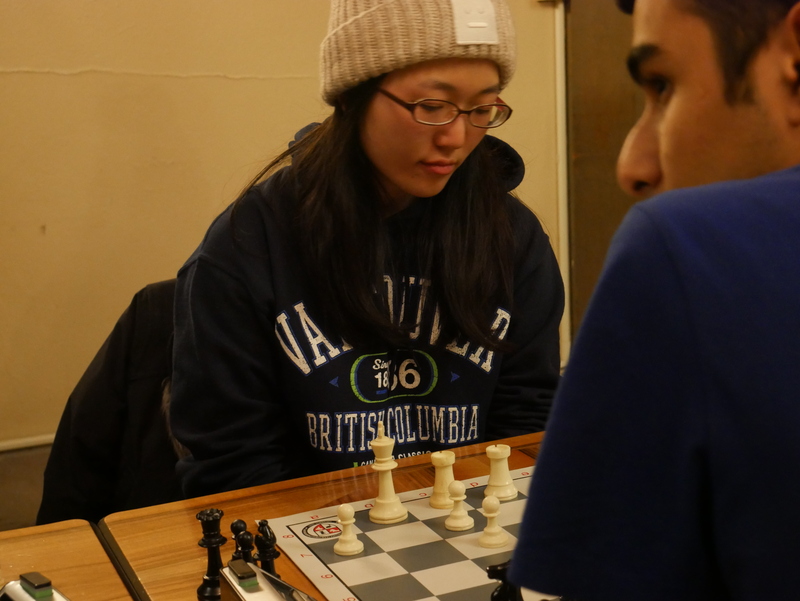 The tournament award for the top woman was won by Alexandra Yao, a dedicated club member, whose hard work is only matched by her steady progress as a chess player! 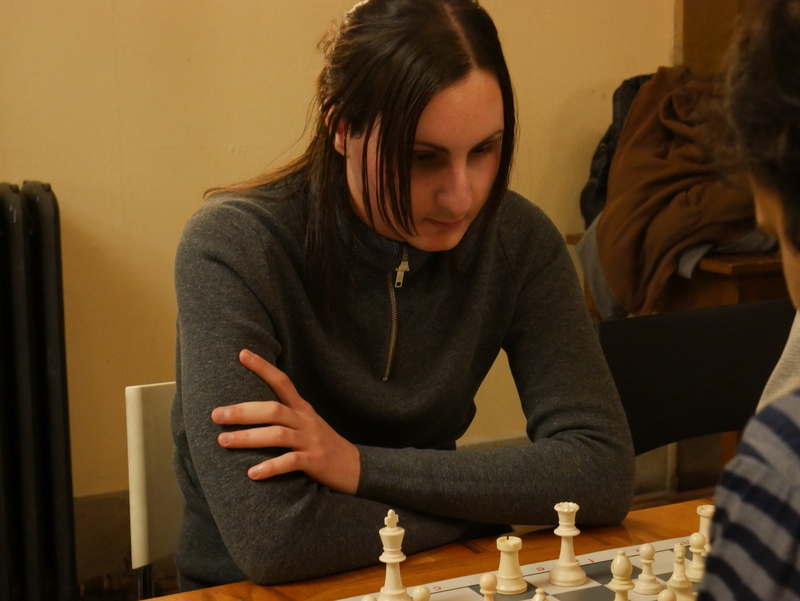 Alexandra Yao deservedly won the award for top woman of the tournament! 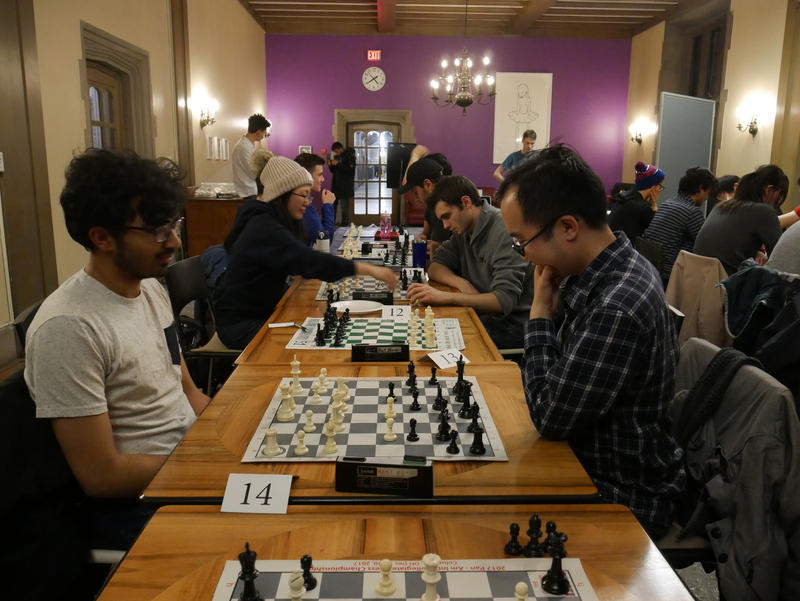 Finally, the battle for the U-1500 rating award was a real thriller as seven UofT students tied with 5 out of 10. 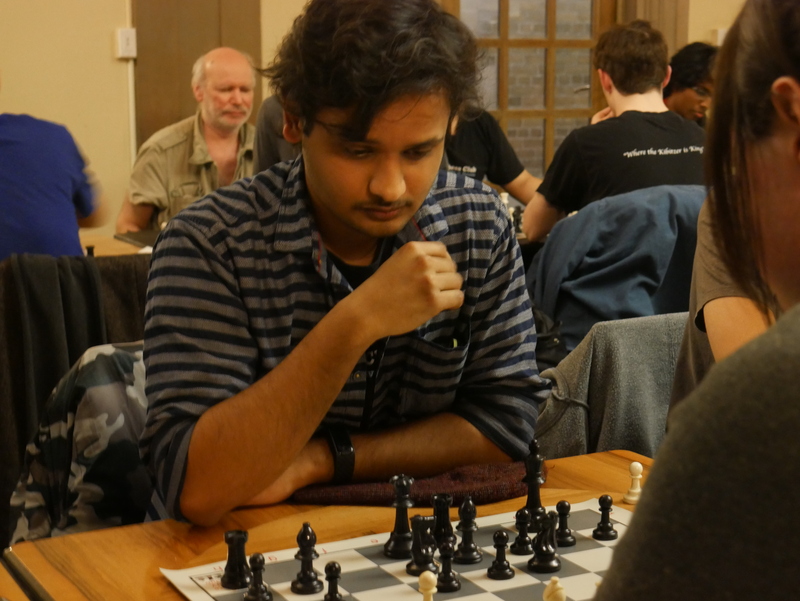 After two rounds of play-offs, the seven contenders were reduced to two, Leon Yao and Sahan Karunaratne! 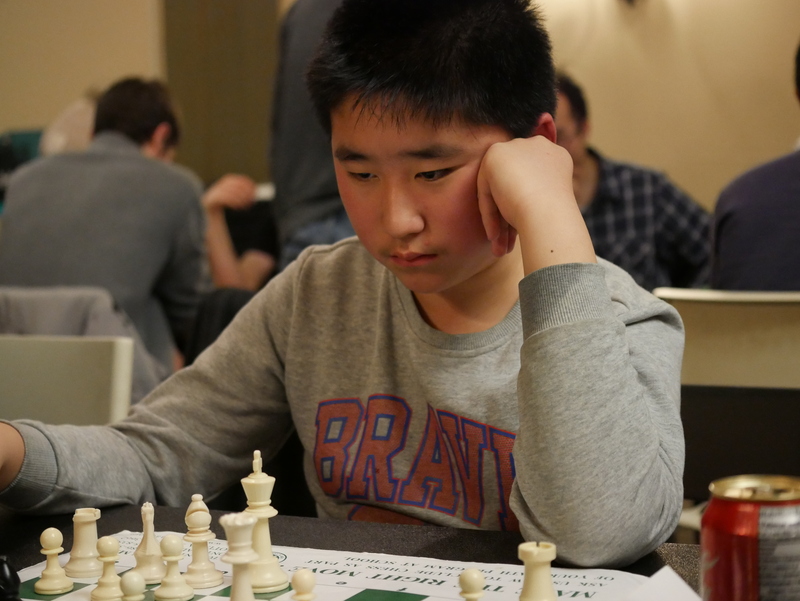 The one who would prevail in a blitz death-match, would become the U-1500 award winner! 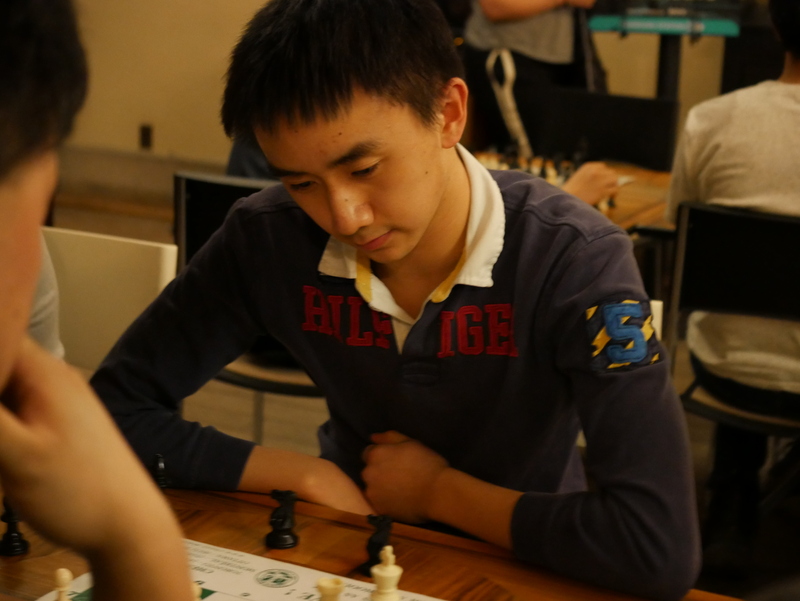 Leon Yao (White) is facing Sahan Karunaratne (Black) for the U-1500 award! 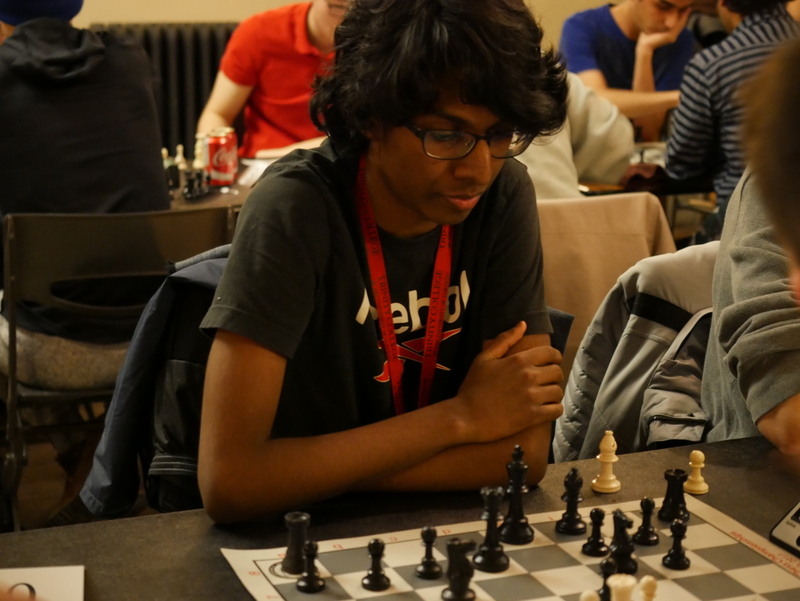 After a hard-fought game, Leon managed to outplay Sahan and he became the U-1500 winner! 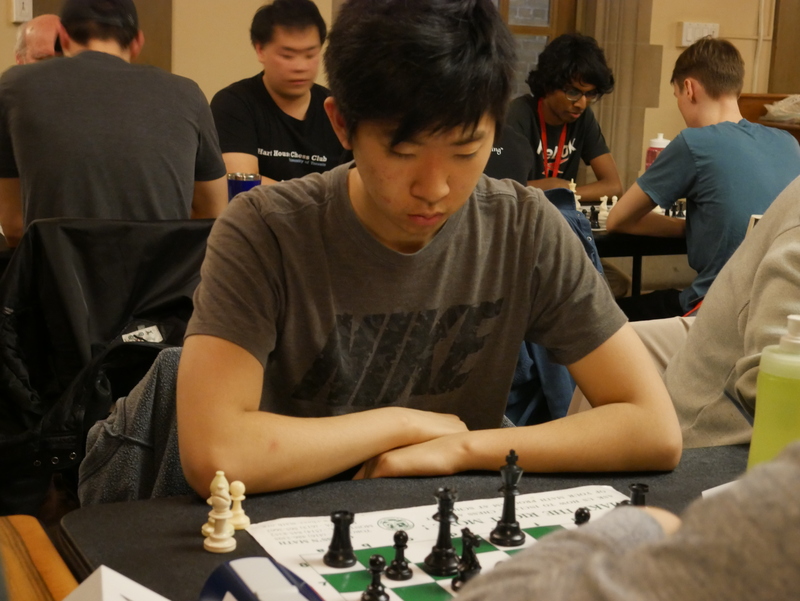 It took him a few extra rounds but this only made victory even sweeter for Leon Yao! 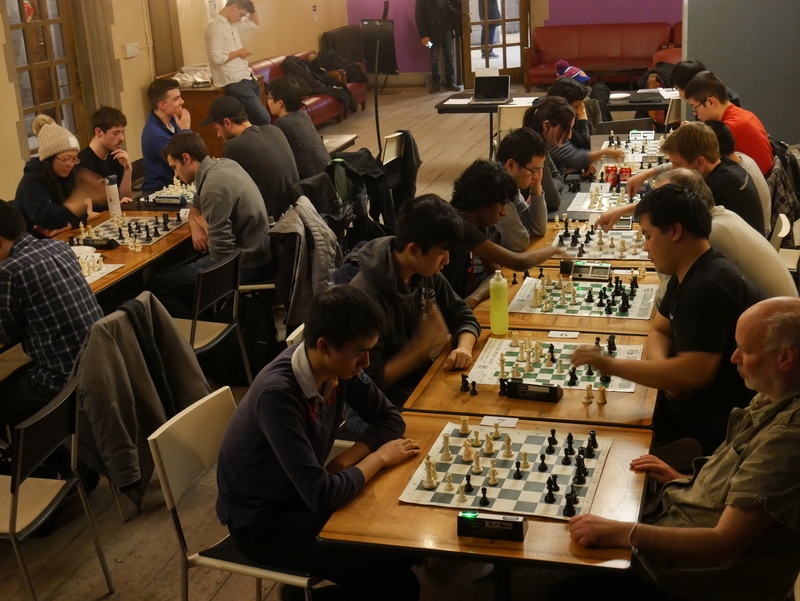 Twenty-eight people took part in the competition, which lasted for about 2 hours and 30 minutes! 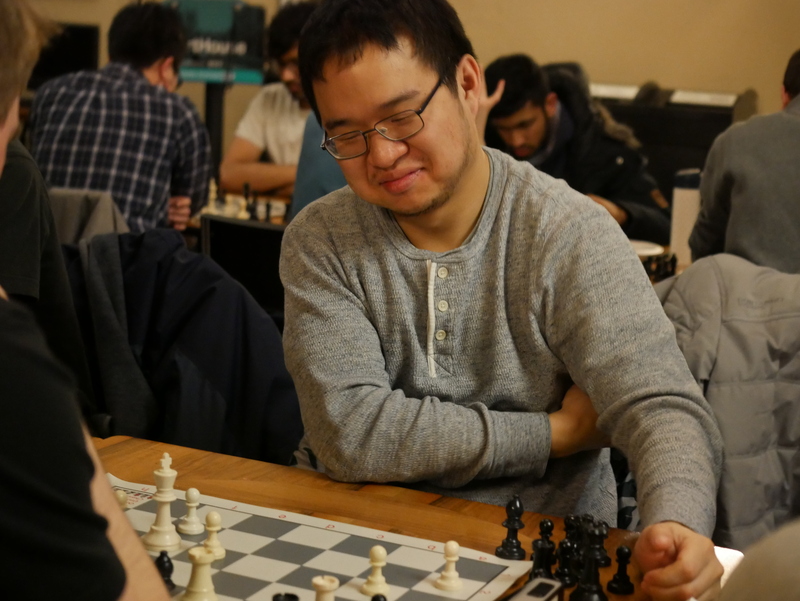 The tournament was administered by Panayoti Tsialas, who was generously assisted in his job by Chris Knox, Jimmy Bartha, Edward Chan and Peter Vuong! We would like to congratulate the winners for their distinction and thank all the players for their participation! We really hope to see you all again in our future events! 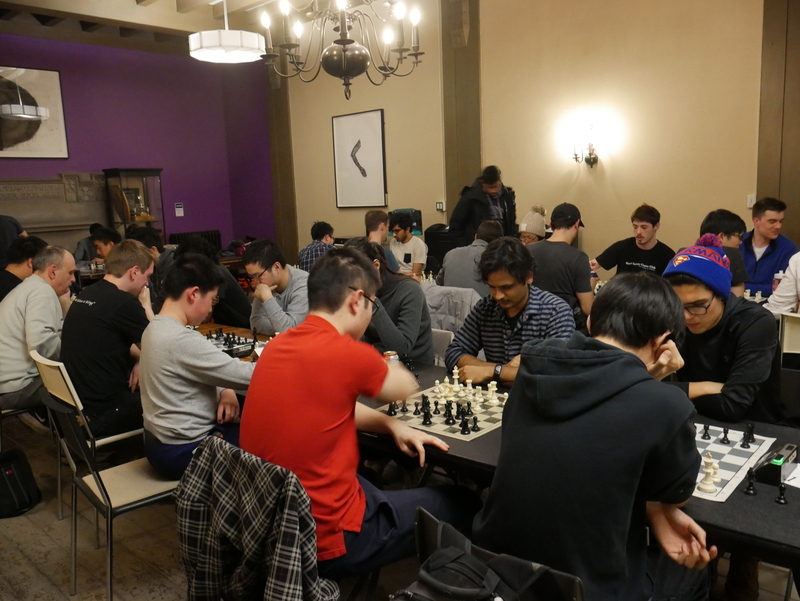 Previous Hart House Chess Club Achieves Record Participation in its 2018 Reading Week Open! 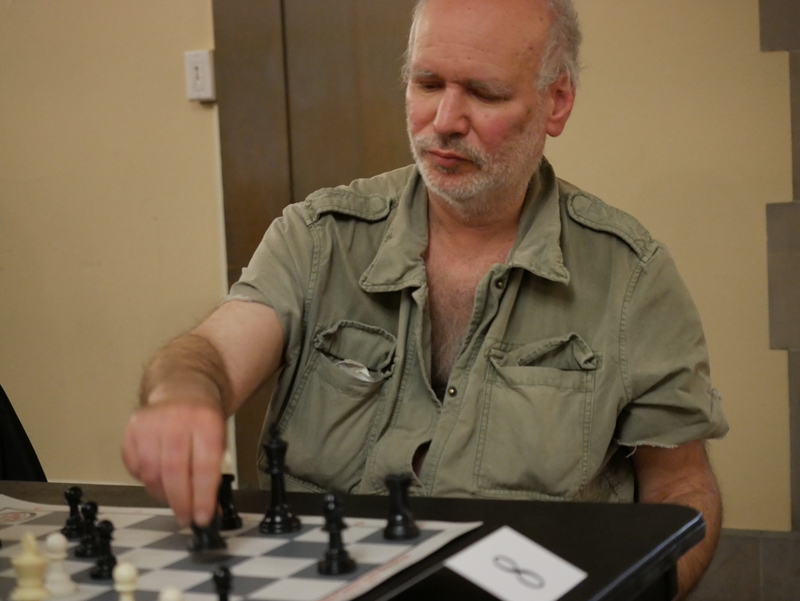 Next HHCC joins special Game Night at University College!